Did everyone have a good weekend? I did! It was actually super low key. We went out to dinner at a new Peruvian restaurant we've been wanting to try on Friday, and Saturday, we checked out a local brewery and authentic pizza place for dinner. One week ago, I started the 21-Day Fix. 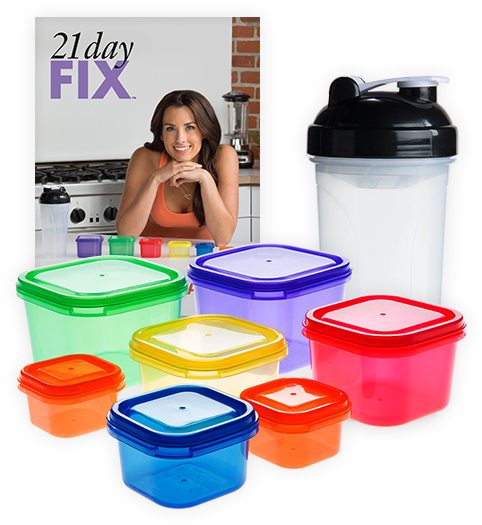 If you haven't heard of it, it's a program by Beach Body that uses seven containers, which are each color-coded for a different kind of food. Based on your goals, you're allowed to eat a certain number of each container each day. The goal is to eat clean foods and in the correct portion sizes. The Fix also comes with seven 30-minute workouts. I also incorporated Shakeology into my program, which is a super-food packed protein shake that you can drink for a meal or as a snack. I'm one week in and feeling awesome! I can tell I've dropped a few pounds and inches, but am trying to wait to weigh and measure myself until the 21 days are up. I think the program is super easy to follow for the most part, but it does take some planning. 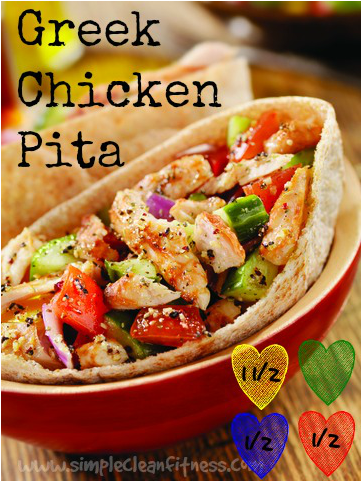 There are TONS of recipes that I've found which make it super easy by telling you how many of each container is in a serving. I'm loving the workouts, too. I have pretty much zero excuse not to do them since they are only 30 minutes. And since I'm doing something different every day, it keeps things interesting! The best thing about the program is that it doesn't feel like a diet. I can still eat carbs, and cheese and even wine, if I want to. I'm just learning how MUCH of these things I should eat. So, when I said earlier we went out for pizza - since I knew we were doing that, I checked the "Restaurant Guide" and was able to plan that I'd be eating 1/4 of a 12" pizza with a side salad (1 green, 1 orange, 2 yellow and 1 blue). WIN! 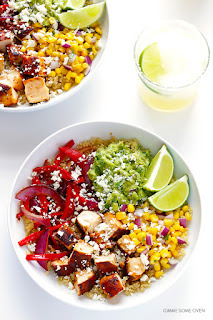 Some dinners I made last week were Mexican Lasagna, Chicken Burrito Quinoa Bowls (adapted for the Fix) and Creamy Mexican Chicken (yes, I like Mexican). All of them made several servings, so I was able to have leftovers for lunch. For me, I like to plan my dinners for the week first because they tend to be the most filling and where I like to use my yellow (carb) containers. Then I work backwards to plan my day. 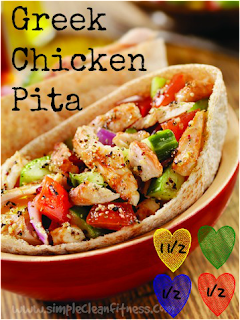 For example, when I made Creamy Mexican Chicken, per the recipe, I knew a serving counted as 1 red, 1 green, 1/2 a purple, and 1 yellow. So I tracked that in my app, and then knew I'd be left with 3 reds, 2 greens, 1.5 purples, 1 yellow and 1 blue, and I planned the rest of the day accordingly. If anyone has questions about this plan or wants more info, let me know! I signed up as a coach for the discount, so I can also get you going on the program if you want to join me! Can't wait to share my results! Anyone have any awesome clean recipes for me?